Drs. 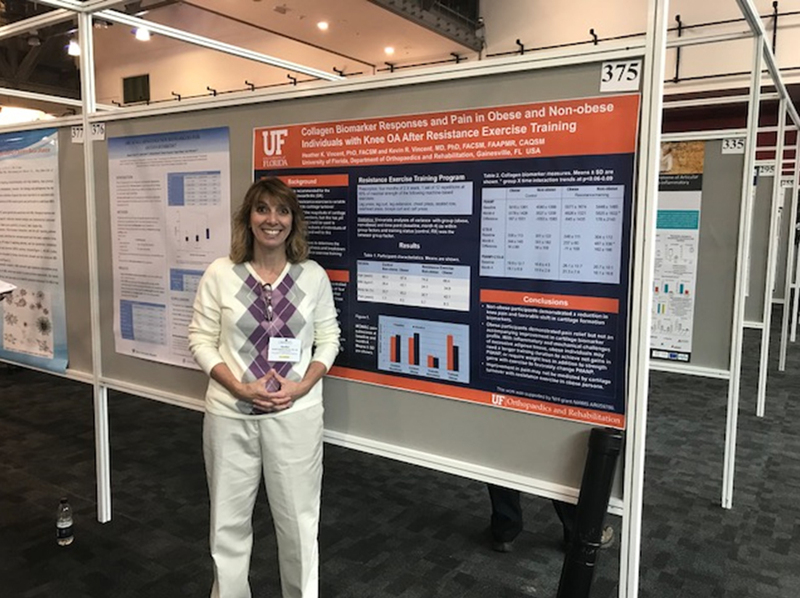 Heather and Kevin Vincent presented their newest research on the benefits of strength training exercise for osteoarthritis at the Osteoarthritis Research International Annual Conference in Liverpool, UK on April 25-29, 2018. Dr. Heather’s presentation was titled "Collagen Biomarker Responses and Pain in Obese and Non-obese Individuals with Knee OA After Resistance Exercise Training”. She is a member of the Osteoarthritis Action Alliance Weight Management Task Force and her work represents an international effort to address OA pain-related disability through exercise (#StandUp2OA). Dr. Kevin’s work was titled, “Comparative Efficacy of Eccentric and Concentric-Focused Resistance Exercise on Pain, Leg Strength & Walking Endurance in Knee Osteoarthritis” and was funded by NIH NIAMS.